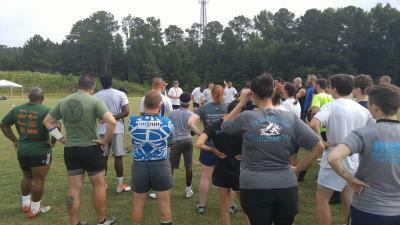 Developing rugby in the Carolinas is important to the Carolinas Geographic Rugby Union. As part of our commitment to providing development opportunities for club administrators, coaches, and players the CGRU sets aside funding each year for at least two development camps/clinics. The CGRU launched our first Player Development Camp in the Summer of 2016 and have made a commitment to funding Player Development Camps each year. The CGRU is committed to the continued development of all players within the union regardless of gender or skill level. If your club is interested in hosting an admin, coaching, and/or player development camp please fill out the application below. When completing the application, please be as descriptive as possible and attach documentation such as quotes, detailed estimates, timelines, etc. Use as much space as needed to describe your project.